Son Oh Gong: The more I try to read a human’s heart, the more difficult it is. Jin Sun Mi: Son Oh Gong, what I want to know is: Am I pretty right now? Son Oh Gong: Yeah, you ‘re pretty. Because I love you. 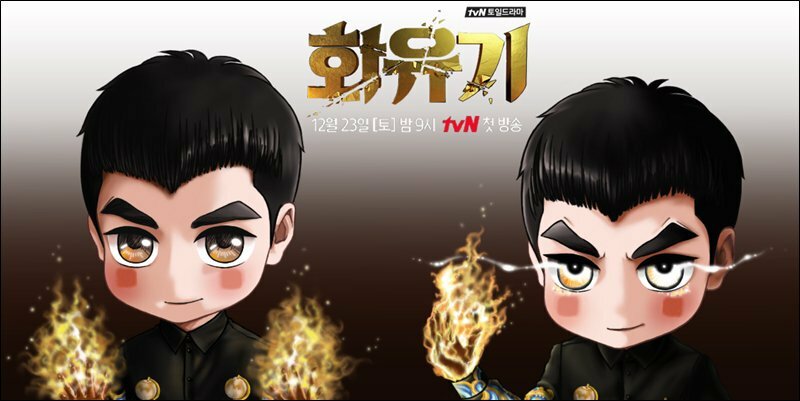 Categories: Caricature, dclsg, Drama, Fan Art, Hwayugi, translation | Tags: Caricature, Everymoment, fan art, Hwayugi, 순간마다 | Permalink. 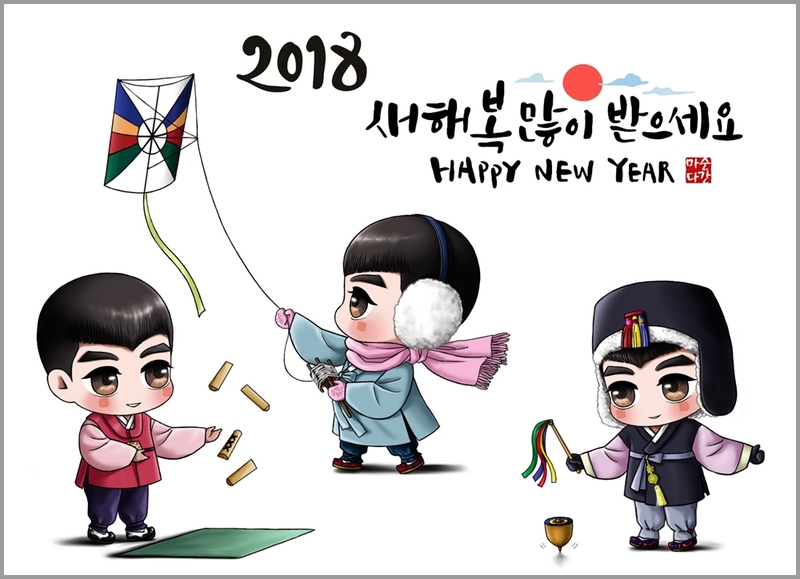 The artist stayed up all night finishing this in time for Lunar New Year. 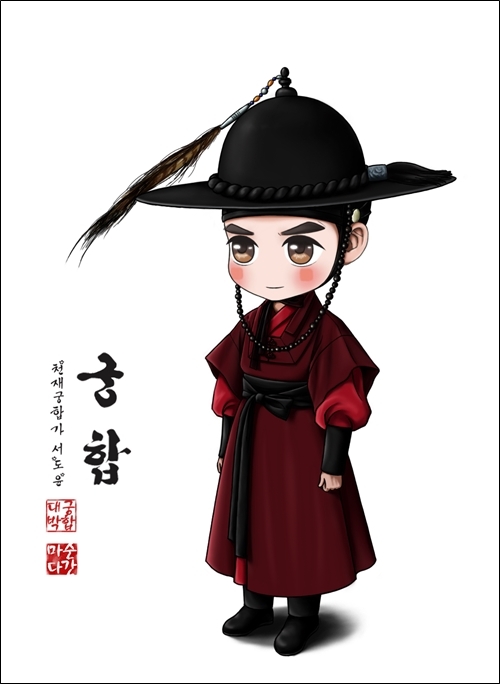 She wonders if Oh Gong had a childhood. 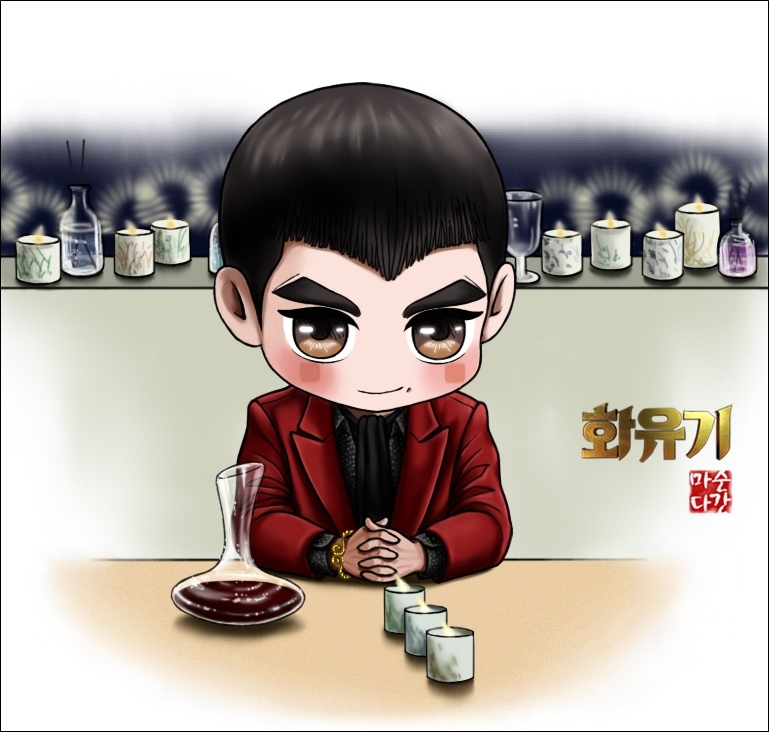 Categories: Caricature, dclsg, Fan Art, Hwayugi | Tags: Everymoment, fan art, Hwayugi, 순간마다, Lunar New Year | Permalink. 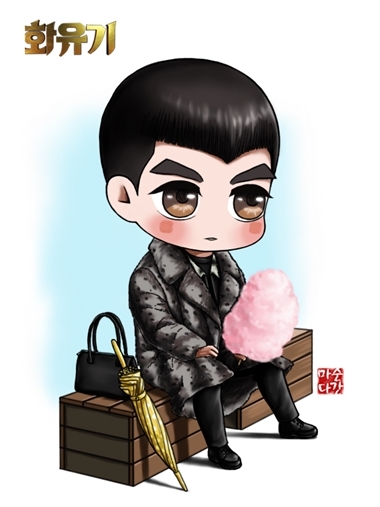 Categories: Caricature, dclsg, Drama, Fan Art, Hwayugi | Tags: Everymoment, fan art, Hwayugi, 순간마다 | Permalink. SOG to WMW: I’m so tormented by the Geumganggo but Sam Jang says she’s also tormented. Ma Wang, let’s also share our pain. I put something in there. Sam Jang’s blood. The pain of wanting something you can never have. Ma Wang, you should experience how that feels like too. 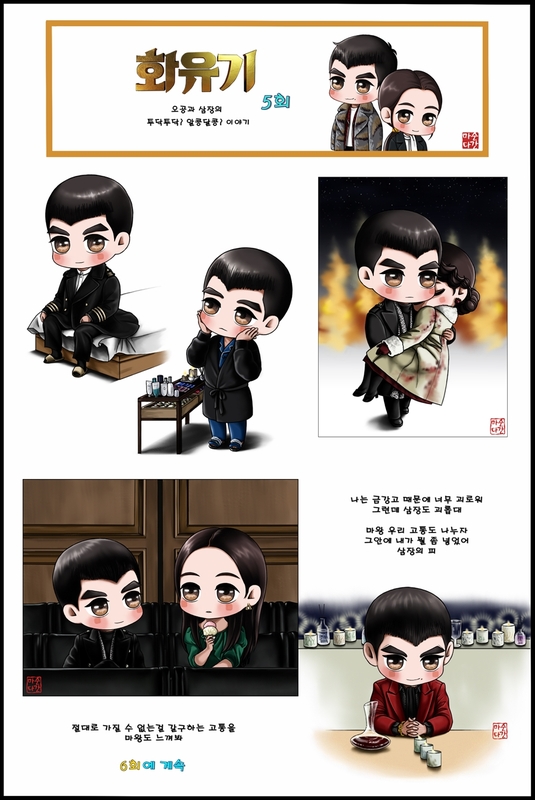 Categories: Caricature, dclsg, Drama, Fan Art, Hwayugi, translation | Tags: Everymoment, fan art, Hwayugi | Permalink. 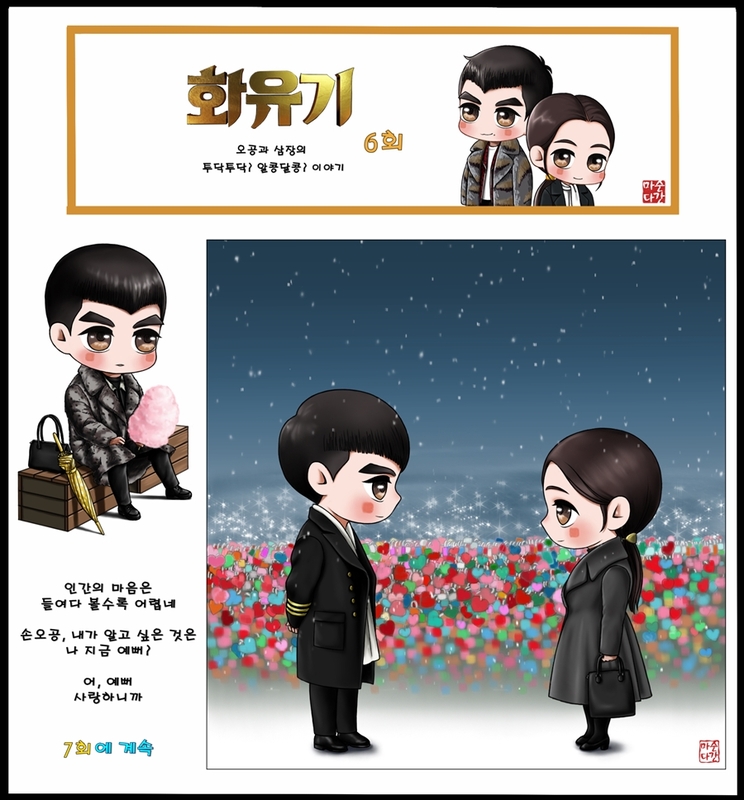 Categories: Caricature, dclsg, Drama, Fan Art, Hwayugi | Tags: Everymoment, Fanart, Hwayugi, 순간마다 | Permalink.